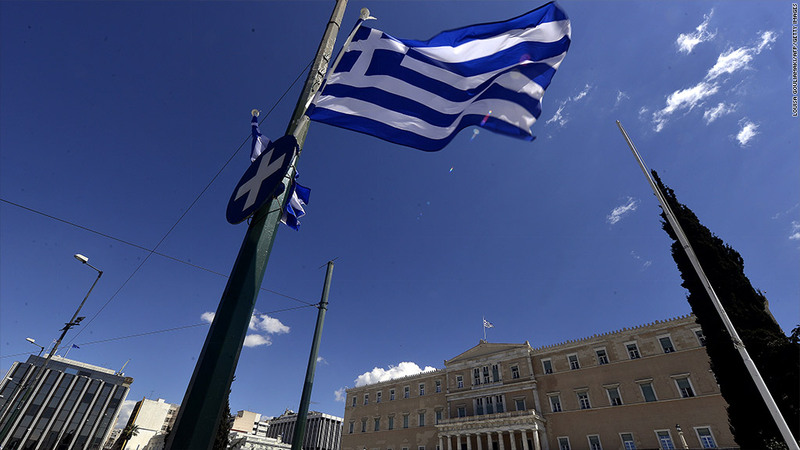 Greece: Is a debt deal mission impossible? Meet the Greekoholics: The investors who are losing big money in Greece but can't kick the habit. Most international investors shunned Greece a long time ago, scared off by its never-ending debt crisis. But a bunch of brave -- or possibly shrewd -- fund managers have defied the consensus and bet big on the country, which continues to flirt with default and exit from the euro. They love it when things are not looking rosy. "Some of the best returns in stock markets come from when the things are truly miserable, and turn slightly less bad, so we actually kind of like it when there is negative geopolitical news," said Meb Faber, the co-founder of Cambria Investment Management. There has been a lot of bad news recently. Athens urgently needs the last tranche of its 240 billion euro bailout to avoid running out of money. Its creditors will only release the cash if Greece agrees to implement economic reforms. Four months of talks have made little progress. The Athens stock market has fallen 26% in the past 12 months and Greek government debt has fared even worse. Yields on 10-year bonds have nearly doubled. Greek bank stocks have been hardest hit, partly because depositors have taken fright at the risk that Greece's international lifeline could be severed. Shares in Piraeus (BPIRY), Alpha Bank (ALBKF) and Eurobank (EGFEY) have plunged by as much as 60% this year. Investors poured money into Greek banks in 2013 as they set about raising new capital in the wake of the last debt crisis in 2012. Mark Yusko is one such investor. The founder of Morgan Creek Capital Management says about 5% of his portfolio, equivalent to millions of dollars, is invested in Greece. He estimates that he's lost about 20% on his investment in the banks. Other funds that hold stakes in Greek banks include London-based Majedie Asset Management, and U.S. hedge funds Wellington Management and the Vanguard Group. Based on their reported holdings at the end of March, they each lost tens of millions of euros in the first quarter. All three declined to comment. Even John Paulson, whose mega bet against subprime mortgages in 2007 transformed him into a star, is hurting. The value of his stake in Alpha Bank plunged by nearly 40 million euros in the first three months of the year. Cambria Investment Management has nearly $7 million -- or about 9% of its assets -- in Greece. The fund has lost 20% in the 12 months to the end of March. But Cambria's Faber says he is invested in Greece for the long term -- even if the country ends up stumbling out of the eurozone. Exiting the eurozone could even be a good thing for the Greek stock market. "It could be that certainty helps it either way; either the EU is willing to step in and keep them in, or they say 'enough is enough'...it's probably the uncertainty that hurts the most," he said. Others are convinced that Germany and other eurozone countries would not allow Greece to drop out of the euro. "The eurozone is set up that once you are in, you can't get out," said Morgan Creek's Yusko. "Germany cannot afford to let them drop out because then the [euro] would strengthen and that would hit the German economy." Then there is geopolitics. European leaders would be reluctant to see Greece cosying up to Russia at a time of high tension over Ukraine. "If things get really really ugly, Greece could turn and go to Russia," Yusko said. There are other investors who believe the flood of bad news from Greece is just a storm in a teacup. Japonica Partners, one of the biggest holders of Greek government debt, believes the country's finances are in much better shape than official statistics indicate. The fund's founder and former Goldman Sachs banker Paul Kazarian said Greece's main problem is the lack of credible accounting. "Nobody knows how much money they have, (but) we believe the debt numbers are vastly better," he said.